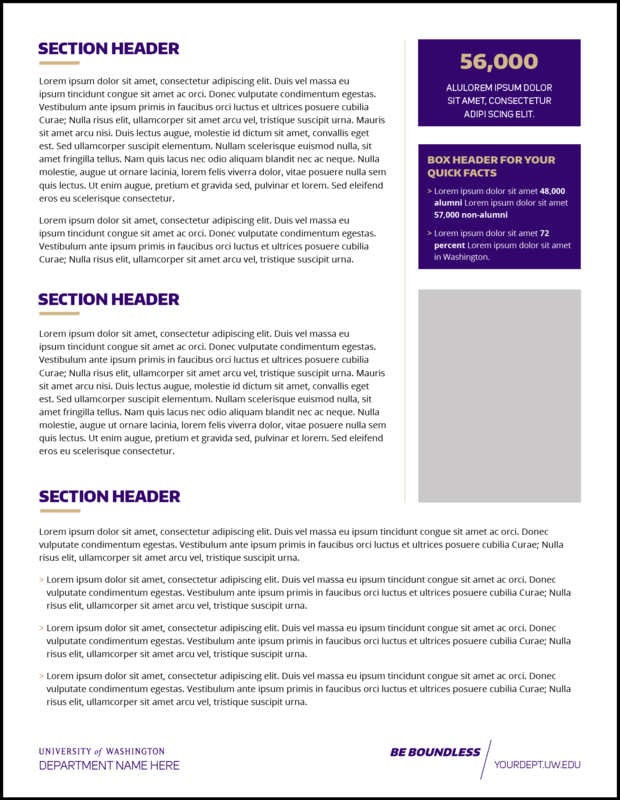 Download templates for fact sheets and more. 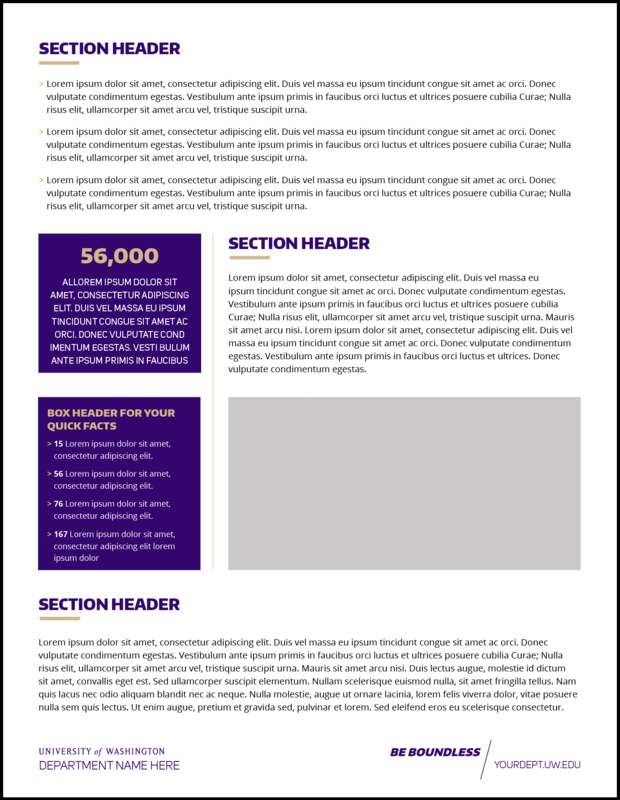 The templates are available in three design styles that accommodate a range of content. 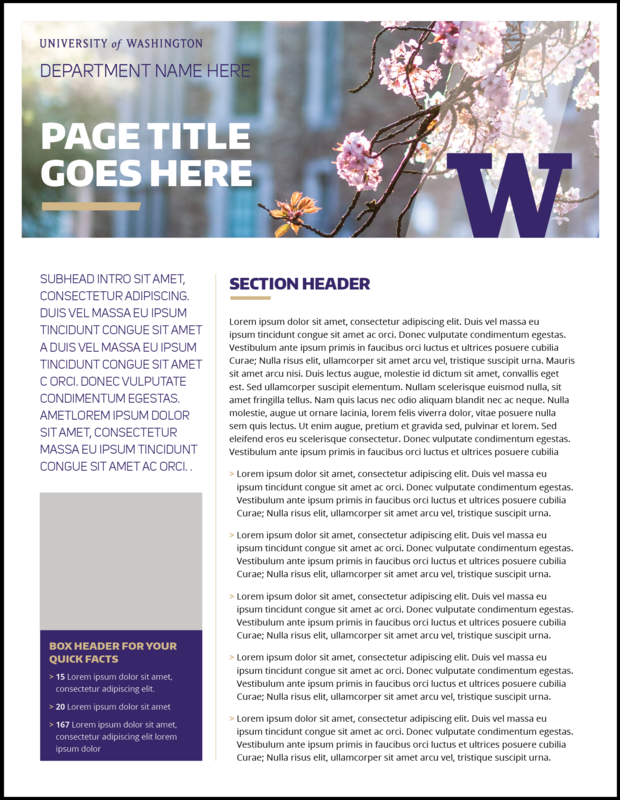 When using the Word file, customize logos, photos and layout options in either the header/footer or in the master pages found in the publishing view. 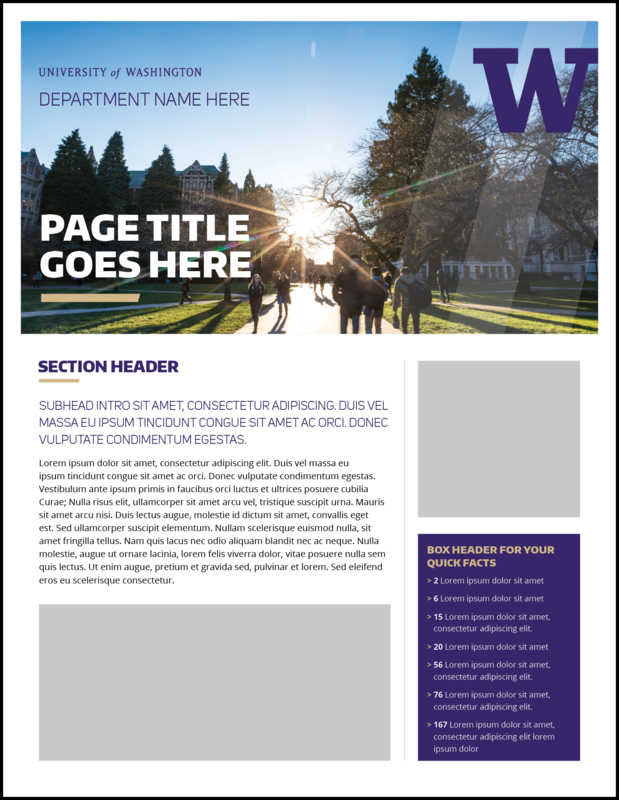 Elements styled in the header/footer may appear as black on screen. 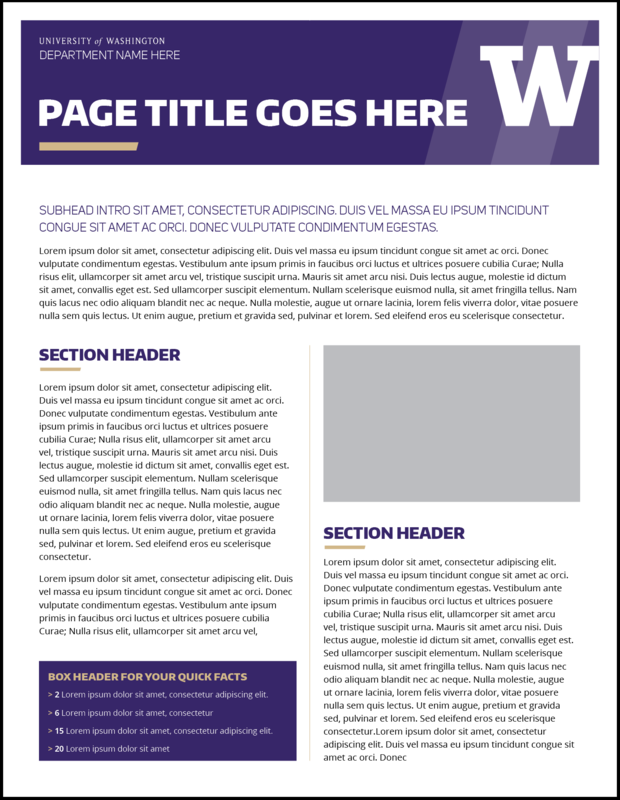 This is a viewing function only, and will be in full color when the file is saved as a PDF or printed. 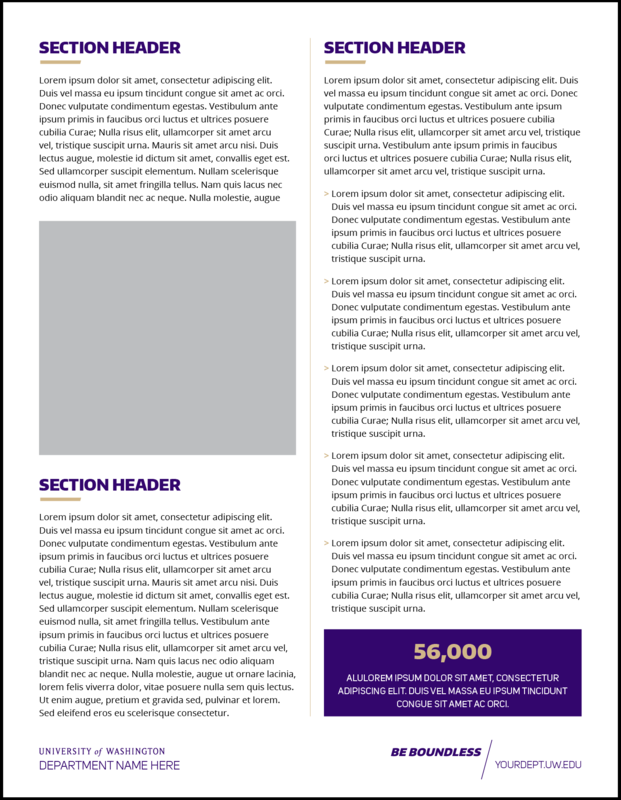 To remove elements from the header/footer, simply select graphics and copy and paste into the main document. If you are sharing this document for editing, you may need to replace the brand fonts with MS Office-compatible fonts. Arial Black is a good substitution for Encode Sans, Calibri Light may be substituted for Uni Sans and Calibri Regular may be substituted for Open Sans.